It's probably a little early to be posting this but I just wanted to share what I'm working on and see if I can get some feedback as to how others have upgraded their audio. I've been working on this mount which bolts into all 4 of the factory holes just like the stock bracket but fits a 6.5" speaker. 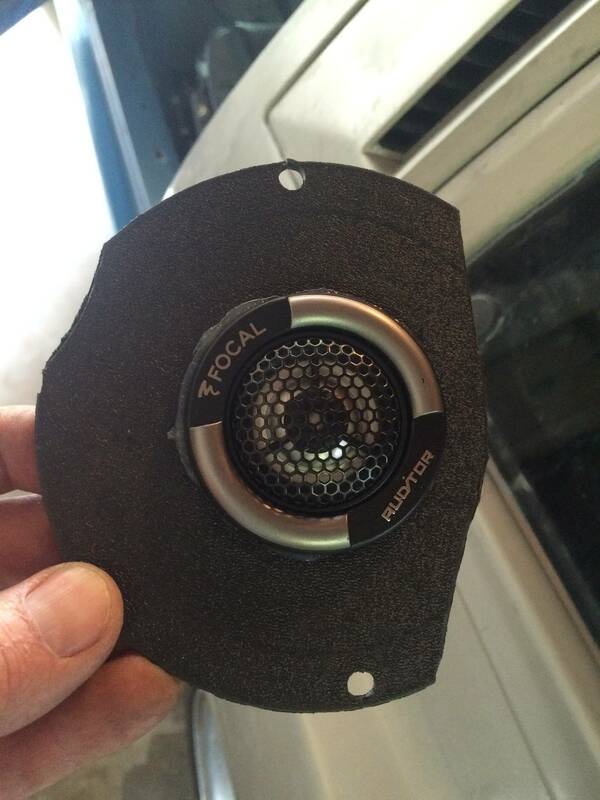 It's perfectly centered from where the stock 5.25" speaker was and just about the same height as well. All without doing any cutting to the door. Unfortunately with the poorly designed door panel it'll need to be cut so I'll be reworking this to come up with a solution. If anyone cares to share what they've done to fit a 6.5" I would appreciate some references to work with. Because of the stock grille design and size, i bet most if not all that went to 6.5" used new larger grilles and cut the panels larger to accommodate the new speakers. I wanted mine to look factory, so went with high quality 5.25" separates with good amplified RMS power to them. Sounds great, even though a 6.5" would be much better for mid-range. I am following this, because i wouldn't mind going to 6.5", but not at the expense of modding the door panel/grille. That was exactly my thoughts on going with these 6.5". I was set that if I couldn't mount them without cutting that I wouldn't be doing it. I would just go 5 1/4 but the factory cutout behind the grill is horrible. Now my plan is to attempt something like a restomod to keep it looking as close to stock as possible. Edited by markhansenconquest, 06 February 2019 - 08:36 PM. Have pictures of what you did? 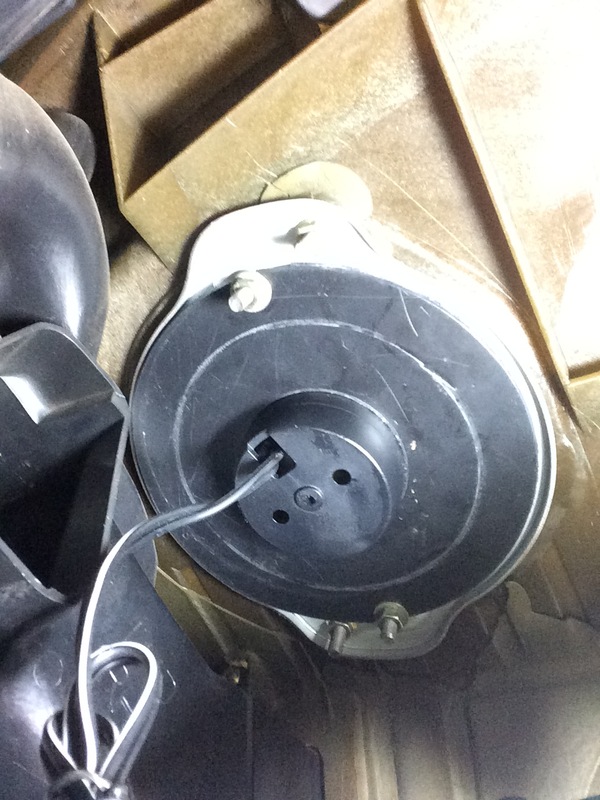 The mount I made keeps the speaker in the factory location with the exception of being maybe 1-2 mm higher to prevent cutting the door. I picked up a spare door panel last night so I can come up with some sort of solution or just ditch the idea and go 5 1/4. Taught me there was no need for that big ol heavy magnet crap! 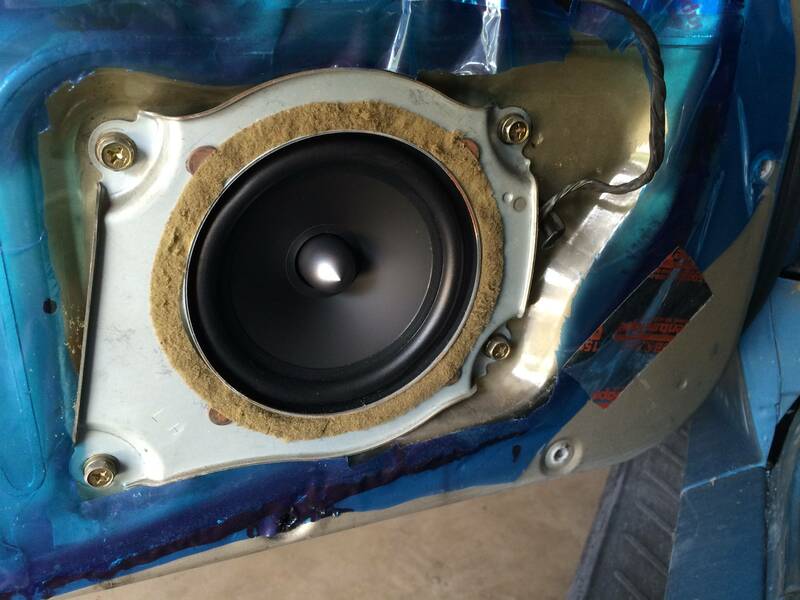 partsxpress 'special-buy' $9 Delco 6x9 delivered surprising sound, custom mounted in my 240sx doors. took me 3 attempts at rear deck mount $27 6x9s in my old fwd corolla. Left the top fabric untouched. Thanks for the info, jinx. I plan to stick with head unit power as well. 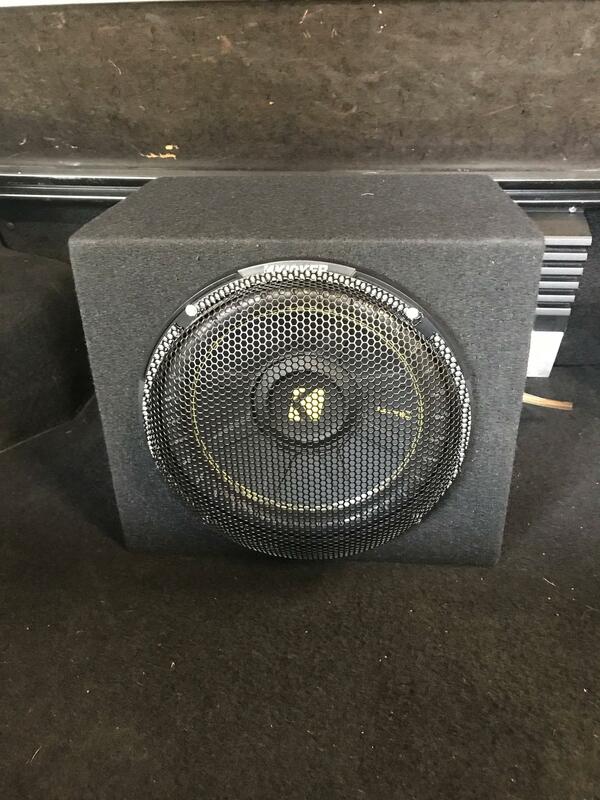 If I did decide to go with an amp it would likely be similar to the Alpine amp that connects inline to head unit for 45w RMS. I was tinkering with the idea more yesterday afternoon and I think I've decided to just scrap the idea and go with 5 1/4" instead since I really don't want to cut on the car. What I will do is follow similar to what pchrist did with his car by cutting out the area behind the grill to allow more sound through. I will still design my own bracket to mount them so using a baffle will be easier. I'll have to get some 5 1/4 speakers ordered and see what I can come up with. Previous one is the difficult one on driver's side, hence the chopped up mounting plate. This one is passenger side. How far off is the speaker from the actual opening of the grill? If I remember right the speaker is actually higher than the grill. Very nice pchrist! That's a clean install. I gotta have my tunes clean, clear and loud. One car i'm running a 4 channel amp for fronts on front channels, and bridged rear channels to a 10" sub. 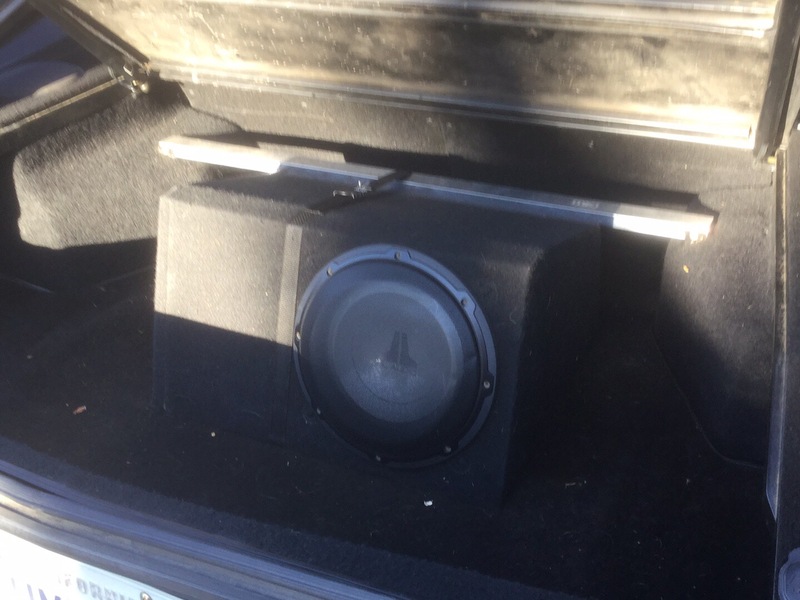 The other car i have 2 x 2 channel amps wired in a similar manner. Both cars run the rear 6.5's off the head unit rear channels. It's close enough to get all the sound out clean. Just cut out the door panel extra material and carpet, leaving enough meat for the grille retainer clips to hold it secure. I hear you on the sound quality, and I really like what you did with those components. I might have to borrow that idea for myself because I never thought to do that. I can throw these 6.5" in the rear and find me a nice component set and be done with it. I appreciate you posting that. 10" JL in custom box, strapped to my rear strut bar. Still fits my golf clubs. Other car is a store bought box with a 10" Kicker that i modded in height to fit after this pic was taken. Nice work. Look like you did a clean install on your wiring as well. What strut brace is that and where can I get one?